Based on the same platform that debuted under the 2008 Lancer, the Eclipse Cross looks new but its underpinnings are ancient. Mitsubishi's Eclipse Cross is a crossover fastback coupe in the spirit of German vehicles like the BMW X4 and X6. 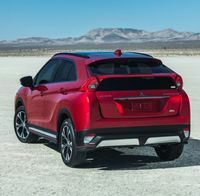 The dimensions are similar to those of the Mitsubishi's RVR that is built on the same platform, but starting at around $30,000, it carries a higher price. A new 1.5L turbo four powers all four wheels via a CVT transmission. Active safety equipment such as adaptive cruise control and forward collision mitigation with pedestrian detection, is standard on the GT S-AWC and is optional starting on the SE-AWC trim level. 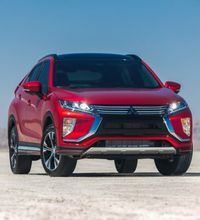 Mitsubishi Canada expects that the Eclipse Cross will bring new customers into its showrooms, but also hopes it will retain current owners of the discontinued Lancer hatchback; that's a question mark as the new vehicle carries a higher price. With elegant, clear gauges, abundant soft touch surfaces, matte finished vinyl, convincing faux alloy and piano black accents and an avante-garde fabric seating pattern, the Eclipse Cross cabin looks very upscale. With an excessively wide centre console and large front door armrests, front occupants feel confined, especially the front passenger. The front seats are heavily bolstered but not confining and remain comfortable for several hours but several people found themselves squirming once the journey ran beyond four hours. The rear seat is comfortable and legroom is good for this size of vehicle. Don't buy an Eclipse-Cross for cargo capacity as it is limited. A free-standing screen controlling audio functions and numerous vehicle settings, dominates the top centre of the dashboard. Like the touch screen system used in the current Honda Civic, the knob-free audio system is an exercise in frustration. Owners will preset their radio stations and use the controls on the steering wheel to minimize distraction but the system is really not suited for in car use. Once you access the audio system, sound quality is quite respectable. Mitsubishi also employs a touch sensitive pad similar to the one abandoned by Lexus due to its ability to irritatat all who engage it. Mitsubishi's climate control panel used in most of its vehicles occupies a position at the bottom of the centre stack and is also knob free. It is quite easy to use and provides strong heating and cooling when they are needed, however, but its settings, 17.5, which is too stuffy and Low, which is too chilly, are too limited to allow for a comfortable cabin temperature when the outside temperature is in the 5-15 centigrade zone. Excellent seat heaters. The power window switches are poorly placed with access blocked by the big door pulls located on both front doors. The Eclipse-Cross is a contrast of elements on the road. While it drones when it is accelerating at anything past leisurely pace, the engine is very quiet when cruising quickly and more than quick enough for this type of vehicle. Given that Mitsubishi's bit 2.4L four will fit, that engine would have delivered similar performance as the 1.5L turbo but with greater refinement. The CVT of the Eclipse-Cross works much better than it did in earlier Mitsubishi's but can't match the performance provided by the units in Hondas and Subarus. Steering is nicely weighted and quick, but lacks a comfortable on centre position for highway cruising, making it difficult to maintain a straight trajectory when moving quickly. While having no sporting pretensions, handling is confident and the car exhibits little lean in corners. The Eclipse-Cross absorbs a single large bump quite adroightly but loses its composure and begins to hop over a closely located series of bumps. While the ride gets bumpy over rough surfaces, the solid structure and rigorous assembly of the Eclipse-Cross generates no quivers, squeeks or rattles. Small windows, a rising beltline and substantial rear pillars make for limited visibility that is only partially compensated by the large door mirrors. The Eclipse-Cross is an upscale vehicle with a base price hovering just below the $30,000 mark. Even the base ES trim includes alloy wheels, Bluetooth and automatic air conditioning. The SE model, with blind spot and rear cross traffic monitors and dual zone air-conditioning, iss good value, as is the active safety oriented Tech package. The range topping GT, trim, with leather seating and a large format sunroof is good value compared with other Eclipse-Cross models but at around $38,000, is at a price where numerous alternatives start to look compelling. Very good value leasing. Not rated, insufficient data. The new 1.5 turbo is unproven. 10 year/160,000 km powertrain warranty. Poor paint adhesion has been a problem on previous Mitsubishis. The Outlander is exclusively all-wheel drive for 2018. Wider availability of active safety equipement. Long available in other markets, the Outlander plug-in hybrid arrives in Canada this year. Attractive cabin with good room in the first two rows, but the available third-row seat is more of a catalogue feature than a welcoming place to travel. Engine choices include a 3L V6 and a 166 horsepower 2.4L four. A plug-in hybrid was announced in 2016 but didn't make it to the market until early 2018. 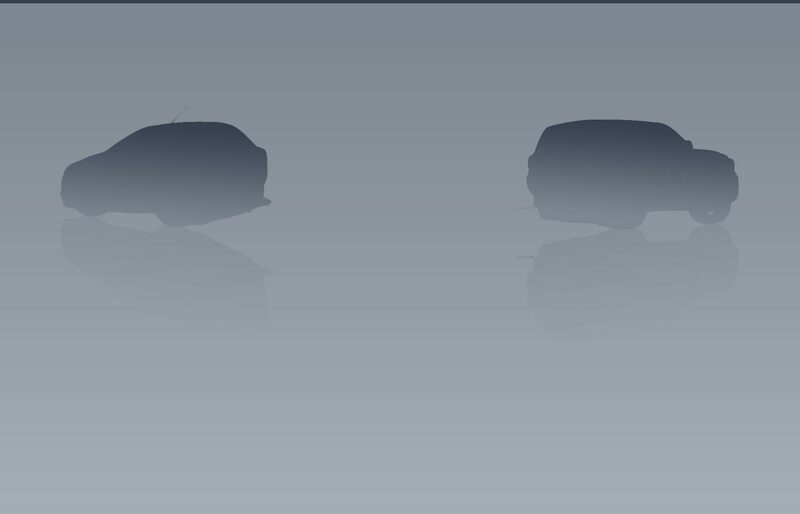 It combines a 2L gas four that provides energy for two 80 horsepower electric motors, one over each axle. The V6 mates to a conventional six-speed automatic and the four is linked to a CVT. 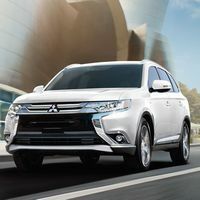 Unlike many manufacturers that have dropped their V6 engine options, Mitsubishi retained it as two thirds of previous generation Outlander buyers opted for the V6 for its towing capacity, power and smoothness. The Outlander exhibits precise steering, good roadholding and a compliant ride. Equipped with all-wheel drive and grippy winter tires, a base 2.4L Outlander delivered a sure-footed performance during particularly arduous winter weather. While the 2.4L four delivered similar acceleration as its competitors, it is not the smoothest unit. The CVT exhibits more of the rubber band effect than some competitors, including the Subaru Forester. Very comfortable front seats with wondrously quick and hot seat heaters. Good sound from the base audio unit. All-wheel drive is standard on all models this year. Spectacular value ES AWC Touring and Premium packages. Migrating from the ES to the SE V6, which includes a third-row seat, the V6 and a number of other features, costs $3300. The price gap between the SE V6 and the SE AWC Anniversary trim balances equipment and price very well, as does the move up from the Anniversary to the GT-S AWC trim. An Outlander PHEV Plug-in GT-S is priced $12,000 higher than a V6 model of the same trim level. Not rated, insufficient data. Historically reliable powertrains. 10 year/160,000 km powertrain warranty. Poor paint adhesion has been a problem on previous Mitsubishis. Active Safety Features: Available active cruise control with forward collision alert and collision mitigation. Lane departure warning and pedestrian detection. Autonomous emergency braking and intelligent forward collision warning are standard on all trims. New black-out trim version named Midnight Edition is new this year. Radar cruise control is standard on the SV Tech trim for 2018 and PROPILOT, which delivers a rudimentary autonomous driving function, is optional on the SL Platinum model. Package and packaging changes. The second-generation Rogue has been well-received and is Nissan’s best seller in Canada. Very pleasant cabin ambience with clear gauges and logical controls, but the shallow audio and climate control knobs are hard to manipulate. Good cabin fit and finish. Roomy first and second rows of seats but the third-row seating, which is more of a brochure feature than a reality, is strictly for kids. Comfortable seats in the first two rows with the third-row seat being little more than an upholstered perch. Driven briefly, the Rogue was smooth, quiet and composed in typical driving but it does the vehicle loses its composure when pushed. Reasonable fuel economy. Though new Nissan Qashqui sacrifices a bit to the Rogue in terms of rear seat legroom and cargo space, it represents very good value compared with the Rogue and is worth investigating. All Rogues are powered by Nissan’s big 2.5L four that sends power to the wheels exclusively via a CVT. Properly equipped, the Rogue can tow up to 454 kg (1000 lbs.). All-wheel drive, standard on the Midnight Edition and SL Platinum trims, is a $2200 option on the S and SV models. The SV sunroof option is priced to reflect its worth but the Moonroof and Technology package is excellent value. The Midnight appearance group is acceptable value if you like its look and the SL Platinum range topper is a bargain. The PROPILOT option on the SL Platinum costs only $500 extra and is likely not standard due to component shortages rather than customers balking at the extra expense. The components powering the Rogue, shared throughout much of the Nissan range, have been average for reliability. Some CVT failures reported starting at around 140,000 km but, according to Nissan, the CVT in the Rogue is improved. 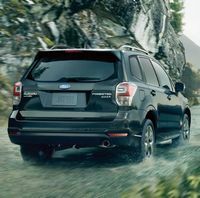 Improved child seat anchors, increased speed range on the lane keep assist feature and the availability of the Technology package on the base XT model are the sum total of changes to the Forester for 2018. Subaru's current flat four spins freely but can get raucous when pushed but disappears into the background when cruising. Strong, flexible power with the 2.5L engine. The continuously variable transmission (CVT) that will be picked by most buyers is carefully calibrated to get the best out of the flat four. Though slightly incongruous in a biggish CUV, the Forester is available six-speed manual, which has an ultra-smooth, progressive clutch, acceptably crisp gearchange and a well-chosen sextet of gears. If the manual has a downside it is fuel consumption, which is considerably higher than a CVT-equipped Forester. Though lacking in feel, the Forester's steering is precise and is nicely weighted. The Forester exhibits controlled lean in quick cornering but grips well and rides with a sublime suppleness. The Forester's cabin is fronted by a dashboard stocked with big, crisply-marked gauges and straightforward controls, The front seats are comfortable when cloth clad but feel a bit flat and lack give on the leather-lined Limited models. The supportive rear seat combines with good rear legroom to welcome second-row occupants. Cabin design, materials and assembly are all very good. Cargo space is shallow below the window line and not nearly as commodious as the luggage lockers of the Honda CR-V or the Toyota RAV4. Engine choices include a 2.5L four that produces 170 horsepower as well as a 250 horsepower 2L turbo. Manual transmission, a rarity in this segment, is available. Properly equipped, maximum tow capacity for the Forester is 680 kg (1500 lbs.). The Convenience model, with a power driver's seat, alloy wheels and a rear luggage cover, is good value and will suit the needs of most buyers. 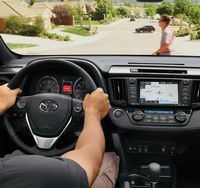 The Touring trim upgrade, which includes numerous convenience features as well as the important lane departure and rear cross traffic monitors, is well worth taking. The range-topping Limited trim is exceptional value for 2018 and boasts leather seating, heated rear seat and steering wheel, navigation and an upgraded audio system. The 2L turbo engine is a $2200 option on the Touring and Limited trims. Priced at $1500, the Technology package feature the comprehensive Eyesight active safety system. Very good lease value and good resale value as well. 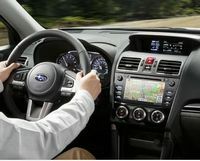 Subarus have become very popular over the last few years, with Subaru unable to supply enough units, product shortages have become commonplace and transaction prices are high. In many cases buyers will have long waits for their new cars, especially if they want the Technology package. Above average reliability predicted for the first five years. Only partial information available on the CVT, which has been reliable thus far in other Subarus. 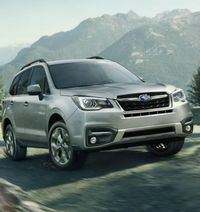 Long-term Subaru engine issues such as head-gasket failures may not have been resolved on the current-generation engines so an extended powertrain warranty is recommended if you plan to keep your Forester beyond the five year/100,000 km powertrain warranty. RAV4: New AWD Trail model with specific trim accents. Alloy wheels are now standard on the base LE trim and all XLEs feature a heated steering wheel and Keyless Go for 2018. Hybrid: A heated steering wheel is now standard on the XLE trim. Tested prior to its recent update, the RAV4's smooth 2.5L four delivers strong, flexible performance allied with excellent fuel economy. 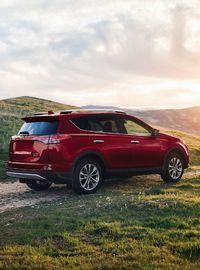 The RAV4's six-speed automatic is very well adapted to the engine, upshifts smoothly, downshifts promptly and seldom seems to be in the wrong gear. The hybrid model works very well but the noise the gas engine makes when it comes on line when strong acceleration is asked for is a bit intrusive. Steering is precise, nicely weighted, but lacks road feel. With good bump absorption and secure handling, the RAV4's suspension has been very carefully developed. Strong brakes with good pedal feel. The cabin boasts original styling, clear gauges and simple, logical controls but strikes some people as being too trucky or industrial looking. 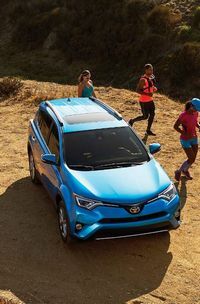 The RAV4's cabin houses comfortable, supportive seats front and rear, which combines with good legroom for both rows of seats. The vinyl seats on the SE and Limited models are very attractive but did cause occupants to become a bit sweaty. The RAV4's cargo space is regularly shaped and deep below the window line. Strong air conditioning, good audio quality and the Bluetooth phone interface works well and is easy to hook up. Most RAV4s will be powered by a 2.5L four with 176 horsepower. Power reaches the front wheels (or optionally all wheels), via a six-speed automatic transmission. The all-wheel drive system has Auto, Lock and Sport modes. The Lock mode leaves the vehicle in all-wheel drive until 40 km/h, when it reverts to front-wheel drive. The hybrid model combines a 2.5L four and an electric motor. Power reaches the front wheels via a CVT, with the drive to the rear wheels being electric. Properly equipped, the gasoline only RAV4 can tow a maximum of 680 kg (1500 lbs.). All-wheel drive, standard on the SE and Limited versions, costs from $2150 (XLE) to $2265 (LE) on other trims. Moving up from the LE to the XLE trim represents tremendous value. Migrating up the model range from the XLE to the SE is a bit overpriced. The Limited trim model is good value you are interested in its equipment. The XLE Trail and the Platinum package on the Limited model are both very expensive for what you are getting. Offered only with all-wheel drive, the hybrid is priced from $2000 (SE) to $4675 (LE AWD versus an LE+ hybrid). The RAV4 XLE package, available on the LE+, is excellent value. The SE trim upgrade is a bargain and the Hybrid Limited upgrade is priced to reflect its value. Above average reliability predicted from proven mechanical units. 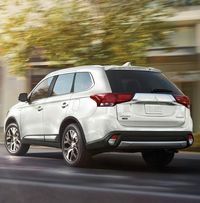 Active Safety Features: Dynamic cruise control and a pre-collision system with pedestrian protection with available blind spot, rear cross traffic and lane departure warnings. 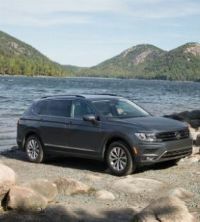 After nine years on the market, Volkswagen finally unveiled a second-generation Tiguan at the Detroit show. 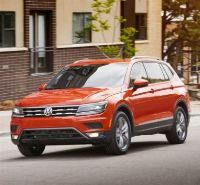 Built on VW’s MQB architecture, the new Tiguan, is built on a 2791 mm (110 inch) wheelbase, which is more than 178 mm (7 inches) longer than its predecessor and 112 mm (4.4 inches) longer than the Tiguans that will be sold in other markets. Power stems from a 2L turbo four with 184 horsepower and a stout 221 lb-ft of torque, which reaches the wheels (front or all four) via an eight-speed automatic transmission. Instruments are located in a dashboard housing logical controls that will be familiar to Volkswagen owners. Attractive cabin components include soft-touch surfaces and luxury touches like flock lining for the door bins. The longer wheelbase results in a very roomy cabin with impressive legroom for second-row occupants. Volkswagen offers a third-row seat but it really is just a catalogue line item, as space is minimal. Cargo space is ample when in two row mode, and next to nil if the third seat is deployed to accept passengers. The new 2L four in the Tiguan is quick enough but noisy, to the point of being a deal breaker for some buyers, when accelerating but recedes into the background once a cruising speed is reached. The ride of the Tiguan is overly firm around town but handling is tidy and steering is nicely weighted and precise. Solid braking. All-wheel drive, standard on the Comfortline and Highline models, is a $2200 option on the base Trendline trim. The base model, with alloy wheels, Bluetooth phone interface and cruise control, is comprehensively equipped. The Trendline Convenience package, with a cargo cover, heated seats, satellite radio and dark tint glass, is equipped in a way to suit the needs of most buyers. Upgrading from the Trendline to Comfortline is exceptional value if you desire its features. The range-topping Highline features a number of luxury items, such as leather upholstery and L.E.D. headlamps, is aggressively priced for those who must have it all. Very good value leasing. Not rated, all new model. Average reliability predicted for the first three or four years, with service costs increasing as the car ages. Highway Fuel Economy: 8.8L/100 km. Active Safety Features: Available blind spot, rear cross traffic and lane departure warnings as well as adaptive cruise control and auto braking.